With the New Year SEO Trends are here and as it rapidly rolls out and changes in customer’s search behaviors. Google’s algorithm, updates continues to flock in.Now is the perfect time for you to plan your working strategy.This is key to your SEO success in 2019 below are a list of SEO Trends that will help you Rank you website. but with the changing search environment and user trends, the schema is becoming increasingly important to rank well in the SERP’s nowadays. Thus this is a SEO Trend worth spending time on. Google has also been increasing its usage of rich snippets Quick Answers, increasing from 22% in 2014 to over 40% by the beginning of 2016, per Search Engine Watch. Using schema can improve and simplify the purpose and content of your site, so the text on snippet boxes will be more appealing for readers. This is further reinforced by Google’s machine learning Al RankBrain. Said to be the third most important ranking factor. 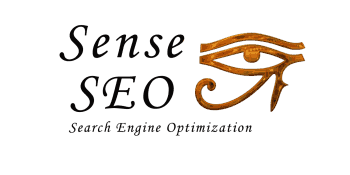 The schema can help SEO ensure that website can be easily interpreted by RankBrain. using schema can help your site ready for whatever Google brings in the future. Google has been experimenting with SERP this year, specifically changing its layout and making the snippet width longer. which makes it difficult to for SEO to take advantage of it. Initiated February this year, Accelerated Mobile Pages or AMP is one the major projects that Google aims to utilize to improve the performance of the mobile web. And since its implementation, many SEO have started giving more effort to improve their site’s loading speed on mobile devices. and use 8 times fewer data than non-AMP pages(which takes an average loading time of 22 seconds). Google has already favored sites who have opted AMP by giving them visibility in a carousel and a small “lightning bolt” icon to let the user know is a page is AMP or not. And as people want their content delivered in a lightning speed nowadays, AMP will certainly gain more importance this coming 2019 and beyond. by changing some of the words and structure used in the previous articles. but forcing people to read it thoroughly to understand the topic very well. Because of this problem, many SEO experts says that content density will become a major standard among content marketers this coming year. Instead of using the amount of words used,”per word value” will gain more traction as the key metric for measuring the actual value of the content. This is critical driving traffic to the site since a lot of people now have a shorter attention span today than the last decade. True enough, pitching your content guest post is a tough job, not unless you already have a well-established image to your audience. to help digital marketers to secure guest post, establish a trust to readers, and drive more traffic to the website. it will also come handy next year since social media sites like Facebook continue to refine their algorithm to favor individual posts over post created by business pages. This coming year, we are likely to see the user experience to gain more importance in the SEO landscape. user experience optimization is going to be an integral part of the overall SEO strategy. which is one important metric that impacts SEO. a website optimized for maximum user experience is one of the best ways to secure a decent spot in SERPs nowadays. The above mentioned quick answers will pave the way for the voice search this coming 2019. According to link-Assistant, voice queries are more likely to show 43.3% rich answers to the user, compared to 40.6% for text queries. and as more and more people are conducting a search for their mobile devices, we are likely to witness an increased usage in voice search this 2017. So another SEO Trend to watch for. The entrance of Google RankBrain in the search engine arena last year signifies a new age in SEO. Currently holding the 3rd spot for the most important signal I ranking. RankBrain serves as an extension of the Google Hummingbird to refine unconventional search queries. artificial intelligence in other areas such data interpretation and marketing automation. and is a SEO Trend to watch. learning how you can take advantage of these coming trends will help you maximize your efforts and increase your chances to rank up on the first page. blurring the lines between ‘web’ and ‘social media’ SEO strategies. to social media networks plays a role in how search engines understand your website is credible and relevant. In 2015 marketers used video marketing as a powerful tool to drive their digital and SEO efforts. In 2016 expect more businesses to embrace the trend, and use videos to capture new audiences. Videos get 50X better organic page ranks in Google when compared with against plain, static text results. Video searches receive 41% higher click-through rate a compared to plain, static text content. This is a SEO trend worth keeping a close watch on. Today people use a range of devices to access content. Tablets, smartphones, laptops, phones and even watches have become standard tools to browse web. Search engines know this and they reward websites that look good on all devices. Voice search is quickly becoming a huge part of mobile usage and has elevated the pain of typing keywords to run a search query. But this shift means your content need to be developed with voice search in mind. More than ever people are looking for content sources that provide all the relevant information they need in a single place. Search engines have noticed this trend and as a result content aggregators are becoming very popular in the SERPS. These SEO Trends and other SEO Trends which i have touched on lightly will cover in more Detail in a separate post. Local search is going stronger over the years. In 2019 you have to let Google know where you are located and what you are offering.